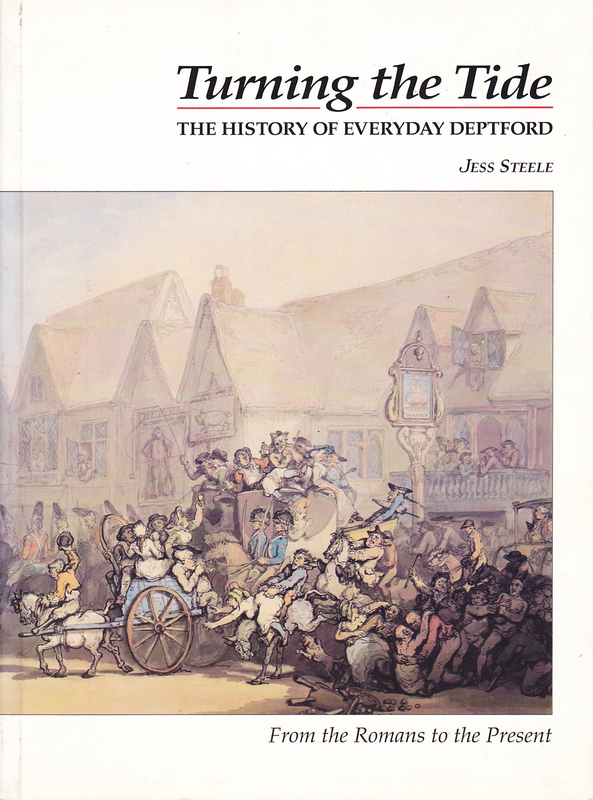 It’s 21 years since I published Turning the Tide: The History of Everyday Deptford. At that point ‘the present’ was full of regeneration programmes. What was their impact? What did we learn? What should be done differently in future? On April 25th 2014, the Centre for Urban and Community Research at Goldsmiths is hosting a free event to explore the stories of Deptford’s “regeneration”. 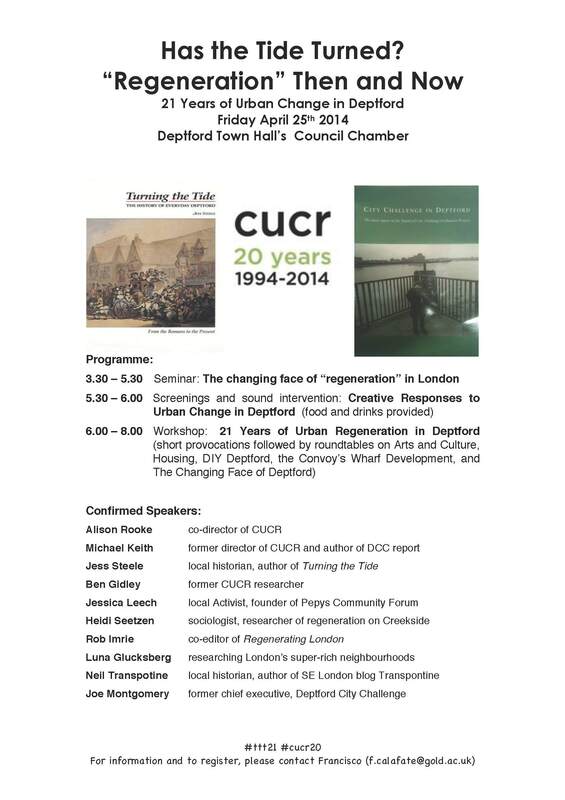 We will be looking back over the two decades since the publication of Turning The Tide which coincided with the start of CUCR’s evaluation of the Deptford City Challenge programme. Our aim is to discuss the recent changes in Deptford, but also to think about the possible futures for the area.